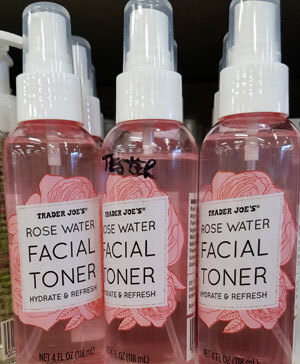 I deffinetaly like the feel of this toner – for 4 dollars how can you beat it!? 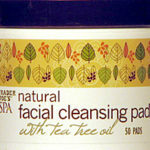 It makes my skin feel refreshed, although I really wish they didn’t use any artificial fragrances in it – TJ’s please take that out! It doesn’t need it. 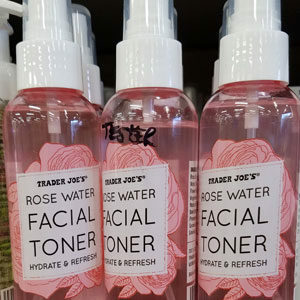 This toner is a great price (less than $4! 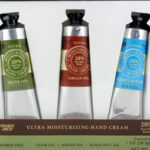 ), decent size, and has some great ingredients — although judging by the above comments, it also has a bit of extra artificial fragrance, which I agree it doesn’t need. I’m not a big fan of the rose scent in general (although it would likely have that either way). 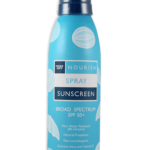 I do like that it has hydrating ingredients as well, since some toners can cause bad dry skin. I like having the little spray bottle to use during the day, but I wish the spray top/range was a bit smaller, because it’s hard to place it at the exact right distance. Often it either sprays too much in the face, or it mists all over and ends up covering my arms as well as part of my face. Overall I feel like it’s a good deal for the price, but just needs a few improvements per the above.